A weather-resistant remote controller, perfect for the shooting in drizzle and by the water. *The battery is not changeable. For push-button release from a distance, convenient for nightscapes and family/group photos. 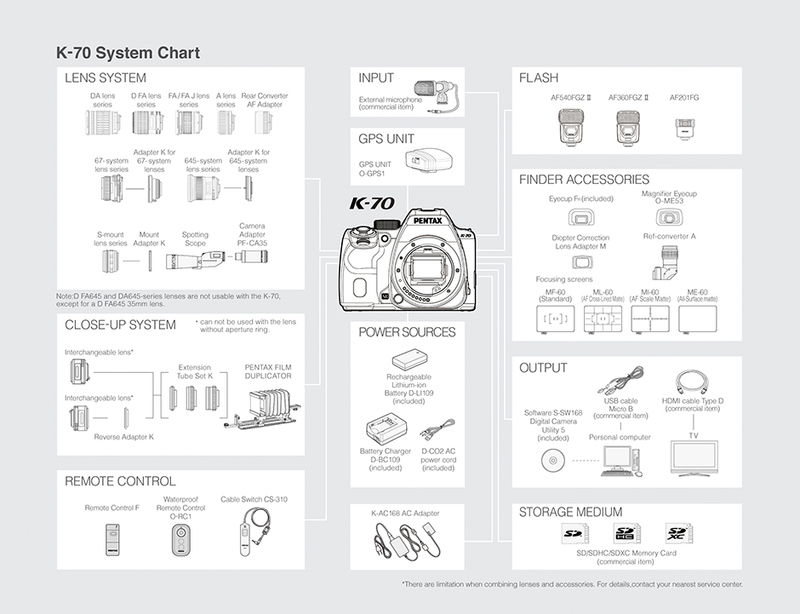 For remote shutter release, with attachment to the PENTAX K-70's microphone/cable release terminal. A high-performanec flash unit featuring an LED light.